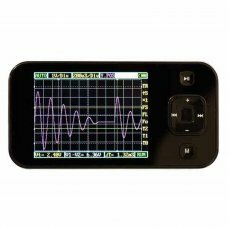 Characteristic • The volume exquisite and it is convenient for carrying; • Used Colored TFT LCD, the waveform d.. 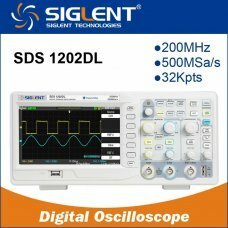 DESCRIPTION Siglent SDS1102CML+ Dual-Channel Bench Oscilloscope (100 MHz Bandwidth) Details The SDS1102CML+ is a dual-cha.. 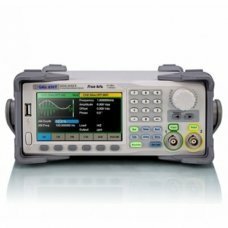 Features and Benefits: ● Apply DDS technology, double output, adjustable phase, the highest output frequency is 50MHz ● 12.. 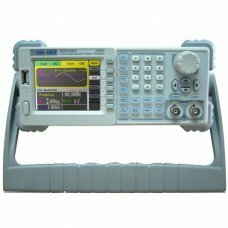 Features: - Cost-effectiveness; PC USB Function/Arbitrary Waveform Generator. 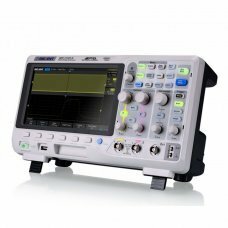 - Excellent industrial design-the same anodis.. 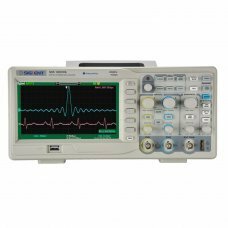 Features:Long time record voltage, current, resistance, capacitance and on-off etc. 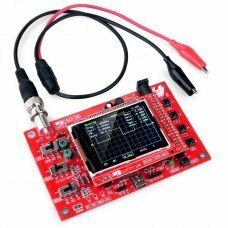 in real time, and create trend curves.P.. 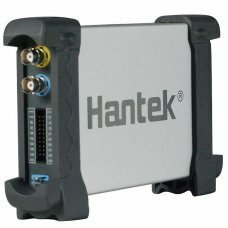 Product Features BandWidth: 100MHz Attenuation: x1/x10 System Input Resistance ,10M / 1M, Typical Input Capacity 85-115pF /.. 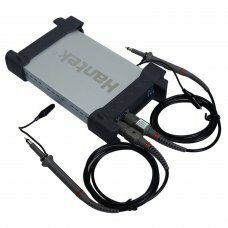 Description: Extremely Durable Anodized Aluminum Case Features one USB 2.0 port and the Standard USBXITM interface, No .. 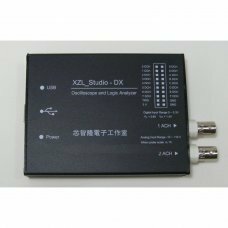 Description: 16 chanels logic analizer Extremely Durable Anodized Aluminum Case Features one USB 2.0 port and the Standard .. 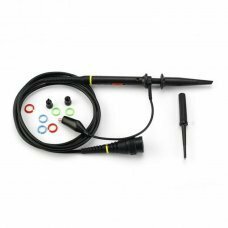 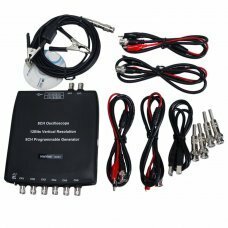 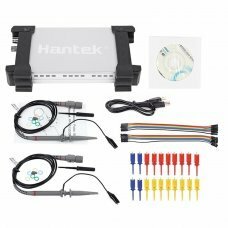 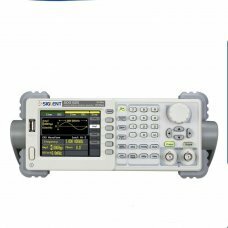 Description: Highly efficient and cost-effective 8 channels oscilloscope; 2.4MSa/s real time sampling rate, 12bit vertical ..
●Bandwidth: 60MHz ●Real-time sampling rate: 1G Sa/s ●Equivalent sampling rate: 50G Sa/s ●Memory depth: 2Mpts Data recorder..
●Bandwidth: 100mhz ●Real-time sampling rate: 1G Sa/s ●Equivalent sampling rate: 50G Sa/s ●Memory depth: 2Mpts Data recorde.. 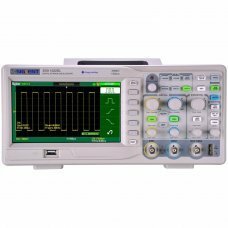 DESCRIPTION Siglent SDS1072CML Dual-Channel Bench Oscilloscope (100 MHz Bandwidth) Details The SDS1072CML is a dual-channel.. 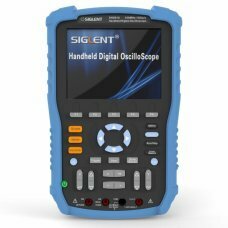 Characteristic • The volume exquisite and it is convenient for carrying; • Used Colored TFT LCD, the wavefo..
Osciloscopio Digital Siglent SDS1202CNL+ 200mhz 7" Color Characteristic • The volume exquisite and it is conven.. 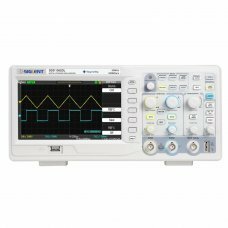 Features and Benefits: ● Apply DDS technology, double output, adjustable phase, the highest output frequency is 10MHZ ● 12.. 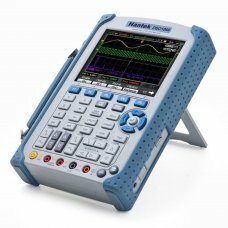 Features and Benefits: Apply DDS technology, double channels output, phase adjustable Output frequency up to160MHz, 500MSa/..
Overview： SDG805 Series Function/Arbitrary Waveform Generator is equipped with maximum output frequency of 5 MHZ, and 125 M..
Overview： SDG810 Series Function / Arbitrary Waveform Generator is equipped with maximum output frequency of 10MHZ, and 125..
Overview： SDG830 Series Function/Arbitrary Waveform Generator is equipped with maximum output frequency of 30MHZ, and 125 M.. 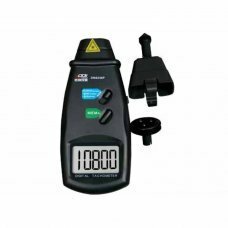 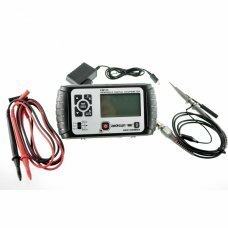 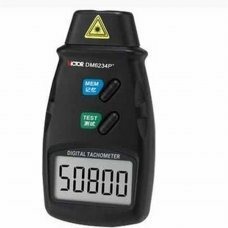 The DSO 1060 is an Excellent Industrial Quality Handheld ScopeMeter. 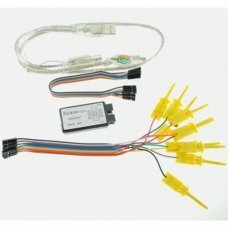 There are easy to use direct entry keys for Each Chann.. 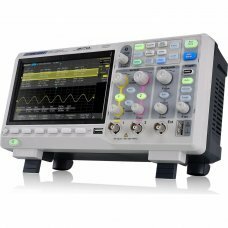 The XZL Studio DX Test Pod is a HUGE sample buffer PC and USB based programmable multifunction digital storage 2-channel os..
Caracteristicas: Display 2.8” color TFT LCD Resolution 320x240 Color65K Analog bandwidth 0-200kHz Maximum sampling r..
Digital Oscilloscope Digital Storage Oscilloscope Hantek DSO5102p - 100MHz, 2 Channels, 1M Memory.. 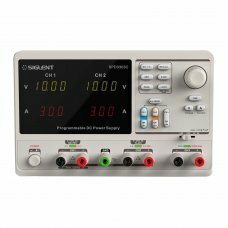 The Siglent function generators have a very well thought-out and easy-to-use operation, which also offers comprehensive com.. 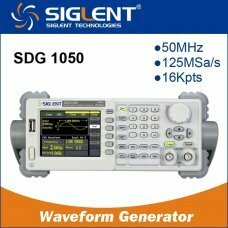 The Siglent SDS1000X is a very high quality two channel digital storage oscilloscope. 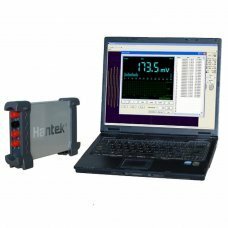 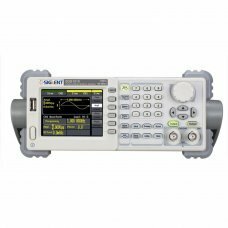 It features a real-time sample rate o..
Siglent SDS1102X 2 channel DSO with 200 MHz bandwidth, 1 GSa / s and 14 Mpts memory depth. 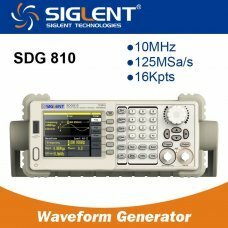 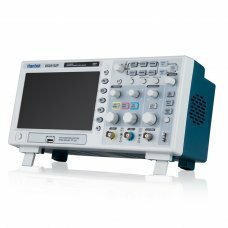 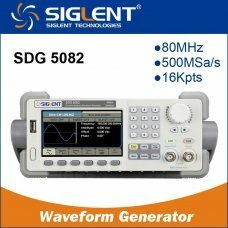 SIGLENT’s new SDS1000X-E Series Super Phosphor Oscilloscope is available in one bandwidth, 200 MHz. 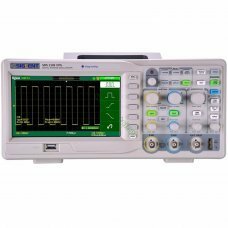 It has a maximum ..
3 independent high precision output：30V/3A*2,2.5V/3.3V/5V/3A*1,total 195W power●4 digits voltage and 3 digits current displ..